TALA can’t wait to be thirteen; then no one better tell her what to do. The Welfare Officer is knocking on her door again and her father isn’t home to answer. Tala only has a few hours to find her missing father before she and her brother, DASON, get placed in a foster home. Her quest brings her to secluded woods where she discovers that a group of bear poachers are responsible for her father’s disappearance. Her adventures bring her in contact with the legendary woodland characters: the pipe-smoking frog-like people and the giant ferocious black bird. Can she survive the night alone in woods alive with hungry bears and angry hunters? Will she be able to find her father before the hunters do? “Cullo” by Murielle Cyr may have been written for young adults but it has a great appeal for adults, too. On the surface it is an adventure story but it covers many other issues and can be seen as a universally valid reflection on men’s relationship to (Mother) nature. The story concerns two children in search of their missing father and the sometimes scary situations that this mission brings for them in the wild. The siblings are afraid to lose their father and be taken away by childhood services since their mother has died. The children’s respectful attitude towards nature is reflected in the protective figure of a mythical bird called Cullo who the children believe is looking after them. The book is a refreshing take on new age themes combined with the more traditional subjects for young adult fiction such as adventure and family issues. The children themselves are lovely characters, charmingly written and instantly likeable. This is a promising first novel that I wish had been around when I was that age. 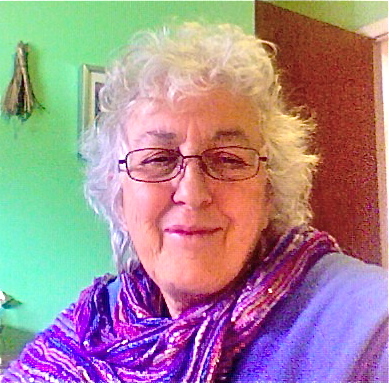 How did you come to writing? Is this your first book or have you written before? I’ve been writing since grade school, on and off, depending on what was happening in my life. I’ve had poems and short stories published in various literary magazines. When the children were growing up, the writing slowed down, but I always continued the stories in my head. Listening, observing and researching are a major part of the writing process. What made you decide to write for children? I taught grade school for many years. Reading a good story aloud to them was always my favourite activity. I witnessed how transformative this was; even the more restless child would become a willing participant. They were always proud of writing and sharing their own stories, and sometimes I would read them stories I had written for them. So writing a book for children became my natural first project. The seed for this book was planted when I was a young girl. My mother used to tell us colourful stories of her grandfather, a Metis from the Gaspé Peninsula. His songs and stories provided her with a deep sense of pride in her cultural background, which in turn, was passed down to my sisters and I. The need to reconnect to our cultural identity for strength and survival is a prominent theme in my book. What or who is Cullo? 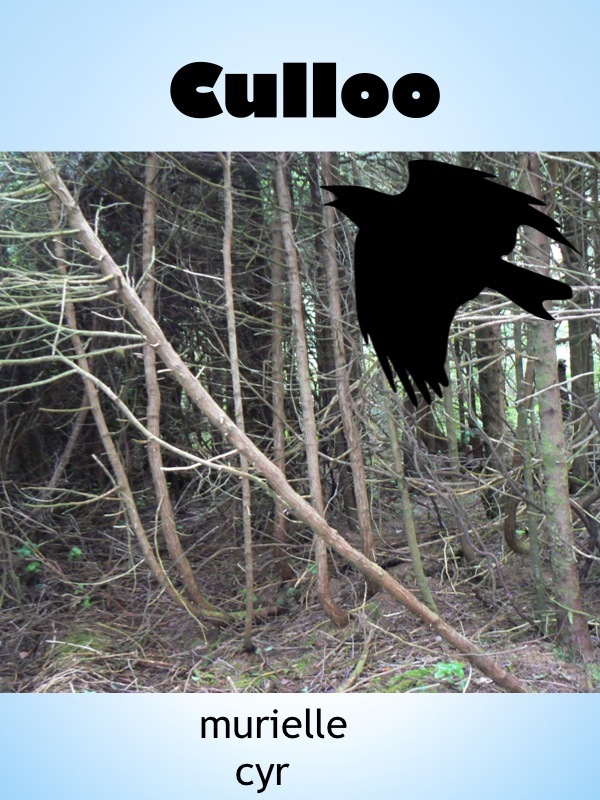 The Culloo is the gigantic bird of prey found in Mi’Kmaq and other First Nation legends and stories. From its high nest on mountaintops, it was the uncontested ruler of the sky. Large woodland animals like moose and caribou were carried off effortlessly to fed its young. What is your main message in this book? My main message in Culloo would the importance of keeping connected to your cultural background in order to make sense of today’s often-grim realities. So many of today’s youth have lost that connection and are left floundering. The book took a good two years of rewrite after rewrite before I decided to let it go out on its own. What did you find the most challenging aspect of the writing process and what the most enjoyable? My most challenging aspect was the editing. Sometimes it would take me hours just to choose the right word, and then the next reread would have me attacking the same word again. It’s never ever finished for writers; we always want to make it better. Something always looks ‘not right’. How comfortable do you feel writing for young adults? Young adults are so wonderfully full of emotions, wants and fears that it’s exciting to try to sneak into their mind. They’re starting off on their journey, so there’s so much to write about. I’d say I feel quite comfortable writing for and with them. I don’t have a set schedule for writing. I try to find time between my daily activities. Sometimes I put in twenty minutes, other times a couple of hours and I’ve gone days and weeks without writing at all. I try to blog every morning, but it’s always writing related, so I consider that time well spent. I’ve learned a lot about the writing craft through blogging and met wonderful writing friends. I’ve learned not to isolate myself while I’m writing. There’s usually a dog scratching itself beside my feet, the phone needs to be answered, the washing machine is grinding away in the next room, video games or TV noises in the background, someone wants to know what’s for dinner. Those disturbances are part of my writing, I can’t neglect or exclude them just because I feel like writing. I usually get around to it, even if it’s just a sentence or to. Complete silence would drive me nuts, too much pressure to produce. Complete rewrites, I can count at least twelve. Partial rewrites ( a word, a sentence, a paragraph, a page, a chapter), I can’t begin to count, there have been so many. I do my own editing, each time I reread my work I find something to change. Leaving it sit for a while is helpful, errors seem to pop up like magic after a few weeks of not reading what I wrote. I should look into sending my work out for editing, but I’m not there yet. There are many. I love magic realism, contemporary, fantasy and good science fiction. Gabriel Garcia Marquez, Jorge Luis Borges, Alice Monroe, Margaret Laurence, Alice Walker, Cormac McCarthy, Joyce Carol Oates and Douglas Adams are the ones that jump up at me, but are so many others that have inspired me. I can see Adam Beach doing a great job in the role of Tom. Tala and Dason would have to be played by any kid that looked scruffy, tough and determined. I’m presently working on a science fiction novel for young adults. I’ve done a lot of research and my characters are in place. I should be posting about it on my blog within the next few months. Apart from the YA writings, I’m also working on some poetry and an idea for an adult novel. Do we ever stop?